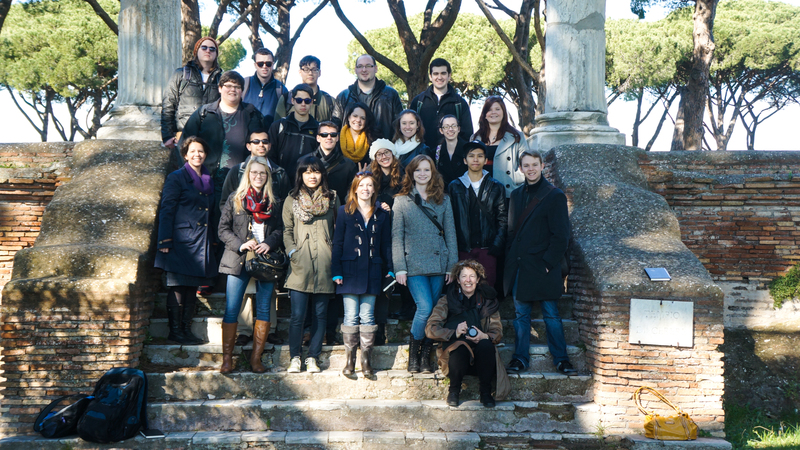 The whole gang in Ostia Antica. 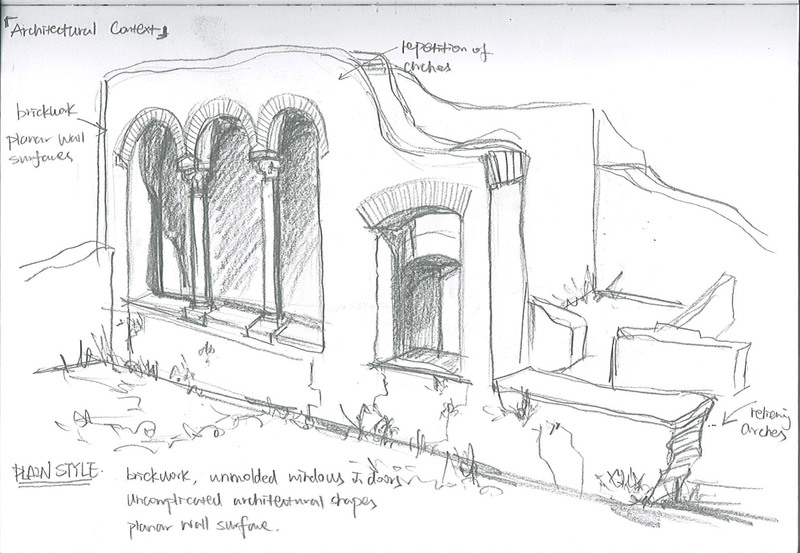 Sketches by Yichen Wang, Amber Conwell, and Amy Shell. 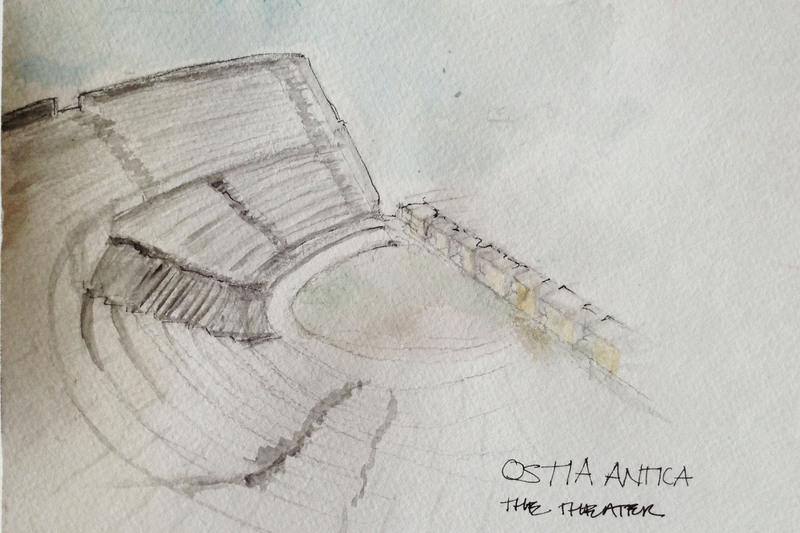 Click the Powerpoint link to see a slide show of several more of the sketches of Ostia! Nice pick, but dudes, next time take your sunglasses off. Thanks, great group picture, and no one has gotten lost yet! When all of you have a chance, you should take a group picture at Parco Savello next to the church of Santa Sabina. The last Sooner group took a picture sitting on the wall that has a great view of Rome to the north. 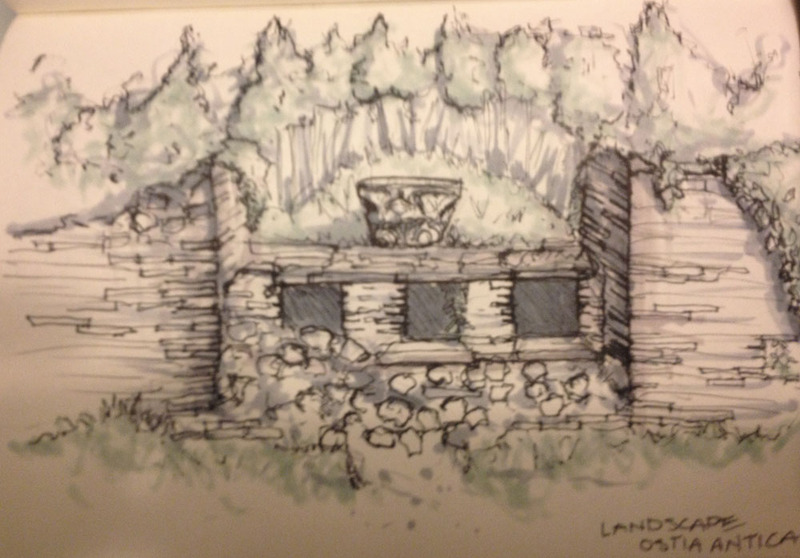 It would be a good way of starting a tradition between groups. The girl in the middle wearing the gold colored scarf is my Cousin Ana Hernandez. Im jealous of her but happy for her at the same time. Miss you cuz come back soon.